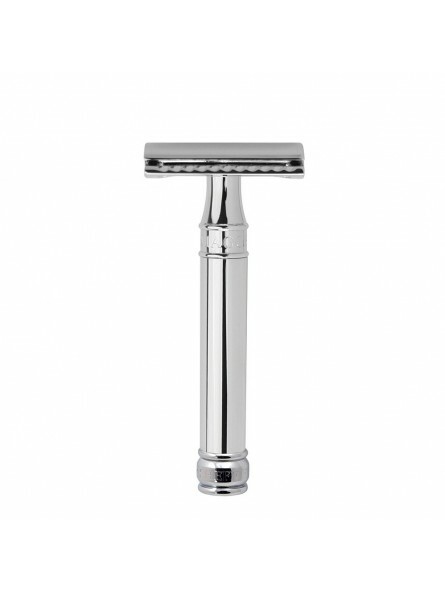 Edwin Jagger Double Edge Safety Razor DE89L. Extraordinary double edge safety razor DE89Lbl, Edwin Jagger DE8 Collection. Mounted with a high precision head design by experts and made with high quality chrome. Carries a comfortable bright chrome handle and anti-slip lined handle. Edwin Jagger inscription on it. 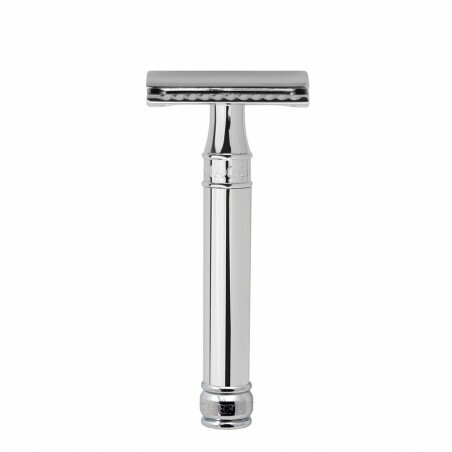 Safety razor with 1 Feather double edge razor blade. All delivered in an elegant Edwin Jagger box. D.E. Safety Razor stand not included. Totalmente recomendable para iniciarse en el afeitado clásico. Muy bonita y agradable al tacto. Desliza muy bien y permite cierto grado de error para no cortarse. La volvería a comprar, sin duda.